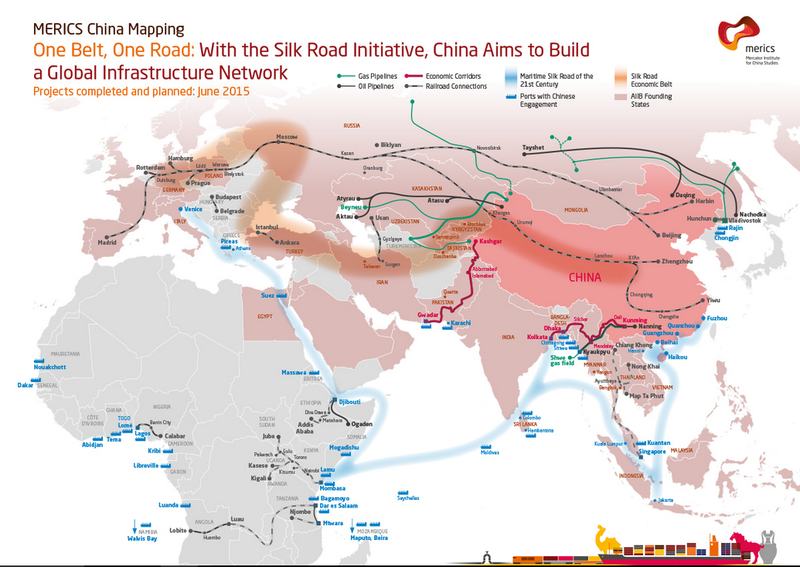 For millennia, China connected Asia to Europe and the Middle East, via the celebrated Silk Roads. Baba Beijing is now taking this ancient concept of continental connectivity to 21st century heights, and it would all be impossible without China’s centrally planned, communist economy to make it happen. Capitalism could never pull off the Belts and Roads Initiative (both inside and outside the country), because of too many selfish, individual, competing, short-term profit interests, and all the corruption and greed that go with it. The above map shows the status of China’s ambitious and visionary Belts and Roads Initiative, as of 2015, including Africa, but not the Americas. China has already started building the Grand Nicaragua Canal and plans to build a rail line from the Pacific to the Atlantic, across the Andes Mountains and Brazil. Western empire and capitalism have absolutely no answer to this towering Chinese mission statement, except to keep on doing what it does best: racist and resource inspired wars, genocide, sanctions, false flags, government overthrows, assassinations, color revolutions and plunder. Hats off to Merics for such an outstanding map. Seventy-nine percent of the world’s people live in countries and economies that are under various forms of capitalism, from cutthroat libertarianism, like in what is left of the Ukraine, to Western Europe’s rapidly disintegrating socialism-capitalism. Comparatively speaking, China, being a communist country, is responsible for 19 percent of humanity. That leaves two percent of the human race. One-half is composed of non-capitalist countries, and like its capitalist counterpart, there is a range of different approaches. North Korea, Cuba and Eritrea are communist, like China. Iran is not communist, but very anti-capitalist, with its organic Islamic Revolution and what it calls its “resistance economy”. I don’t have to tell you which countries Iran is resisting. Starting in 1999-2000, Russia saw one of history’s most impressive sociopolitical renaissances, with key sectors of the economy nationalized and socialist welfare programs brought back for its citizens. Then there are countries like the ALBA group, in Latin America, which have also nationalized key sectors of the economy, governing with a strong commitment to socialism, and are decidedly anti-capitalist. ALBA’s most well-known members are Nicaragua, Ecuador, Bolivia and Venezuela. The one unifying characteristic of all these countries is their visceral hatred of Western imperialism and colonialism. They have all been and continue to be attacked by the West, with the hopes of overthrowing their governments and ideologies, in order to replace them with satrap stooges. This says a lot about empire’s zero tolerance for any expression of independence and liberty, that is outside its complete subjugation and exploitation. Let’s see… Seventy-nine percent for capitalism, plus nineteen for China, plus one percent for other anti-West countries, that leaves one percent of humanity. Who are they? They are the billionaire one percent, who were made into a household name, thanks to the now-crushed Occupy Wall Street movement. They harvest the 79% of humanity and their resources, those in all the capitalist countries. But, the true owners of the 79% only number about 400 people (mostly Western Caucasians), what I like to call the trillionaires, because they in fact dwarf even the billionaire class, in terms of wealth concentration. The rest of this top level one percent are merely millionaires, and are their superiors’ centurions and praetorian guards – the assassins, factotums, lawyers, judges, politicians, generals and business people who prostitute themselves and profit handsomely from their dirty work. These are the ones who make sure the transfer of the 99%’s declining wealth and income continues to flow up to the trillionaires, while in the process, pillaging what they can, or are allowed to rake off, by their infinitely more powerful trillionaire handlers. It’s all part of the capitalist plan for 79% of humanity. The 20% of the human race in the anti-West countries can count their blessings. 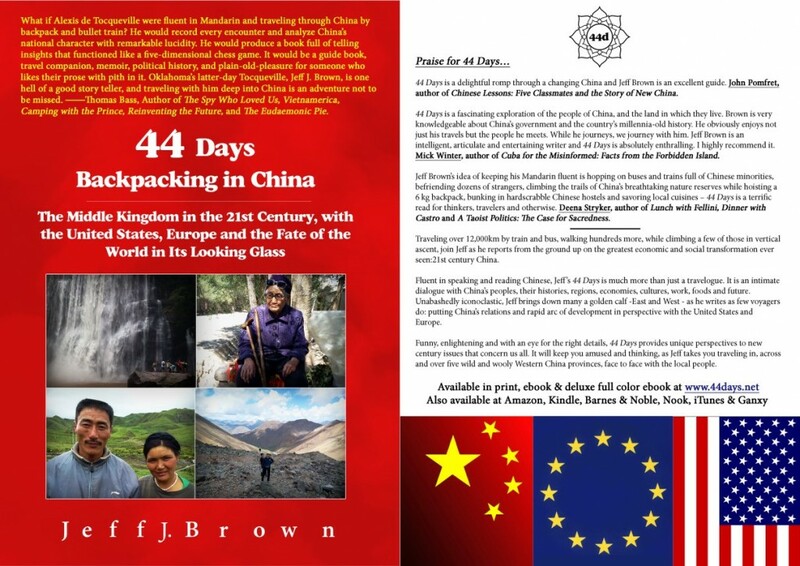 Among all the anti-capitalist countries in the world, China stands shoulders above the rest, simply due to its size, population, the fact that the Communist Party of China (CPC) is in the dawn of its Red Dynasty, and the Party’s and Chinese people’s incredible success story, since liberation from Japanese fascism and Western colonialism, in 1949. One of the biggest and most important Western propaganda myths to brainwash most of the world concerns China’s economy during the Mao Zedong Era, 1949-1978. China’s GDP during this 29 years of pure communism grew at a rate of 7% per annum, this, in spite of Mao’s penchant for continuous revolution and numerous political campaigns, which set the economy back during several of those years. Not to mention that Uncle Sam enforced one of the longest running and cruelest blockades in modern history, shutting off New China from financial, commercial and economic relations with the Western Bloc, similar to the brutal and totally illegal blockade that the United States has been and continues to use to shut off Cuba from normal relations with the rest of the world. So, you might ask, what was the average American GDP growth rate, during this same time period, 1949-1978? Eight percent per year, only one percent more than China. Yet, postwar America was sitting on the pinnacle of planetary economic power, garnering 50% of global GDP, being the world’s largest manufacturer, exporter and creditor, and possessing the only international reserve and trade currency accepted then, the US dollar. Another telling sign, which country is now the world’s largest manufacturer, exporter and creditor? Communist China and it’s not even close. And let’s not forget that this all happened with China shut out from the outside world, thanks to Uncle Sam’s cruel and vindictive blockade. It is estimated that the blockade on Cuba, since its inception in 1960, has cost this small island country $1.1 trillion – that’s with a “t”, not a “b”. China has 125 times more people than Cuba, so do you care to wager how much it cost its people? The number is probably incalculable. But, in spite of it all, communist China’s economy still ran neck and neck with the world’s capitalist Leviathan. And since 1978, during the Deng Xiaoping and Xi Jinping Eras? Communist China has been humming at a 10% annual GDP growth, to declining America’s six percent. And unlike the West, much of this economic growth (productivity) is going into the back pockets of the masses. Proof? From 1980-2015, Chinese wages have increased by 7% per annum, net of inflation. There isn’t a capitalist country in the world that can say the same. In fact, it’s the exact opposite, as wages and standards of living have been steadily declining during the same time period. Thus, from 1949-2015, Red China has significantly outperformed the US and the capitalist West. Now you know why the West’s owners brainwash their citizens, to immunize them against this fact-based truth. How could a largely agrarian, communist country, totally shut off from Western markets, goods, technology and financing, be so incredibly successful, socially and economically? The West’s owners surely wouldn’t want their people to start asking intelligent questions or looking for different ideas and alternative possibilities. Heaven forbid, they might even revolt and start an income redistributing revolution. Can’t let that happen. Won’t let it happen. Well then, you might ask, how did China do it, and why are they succeeding so triumphantly now? The CPC governs China, using a system with three broad platforms, which you can look upon as a three-legged stool of governance. First, the Chinese have taken control of the means of production. What this signifies is that all of the land in China has been nationalized, every square meter of the place. Thus, there is no private real estate in China, only private personal property. “Buying” a house, business or land here is, in actuality, a long term lease (up to 70 years), whose landlord is ultimately the citizens of China. North Korea has the same system, and I believe Cuba and Eritrea, as well. Other anti-West countries, like Russia, Iran and the ALBA group, don’t control all the real estate, but own the means of production (or a majority) of key industrial sectors in their economies. These often includes hydrocarbons, nuclear energy, aviation, armaments, utilities, media and the like. China is no different. State owned enterprises (SOEs) dominate or totally control key sectors, such as finance, banking and insurance, telecommunications, steel, aviation, energy, mining, rail, the media, and on and on. The second support of China’s three-legged stool of governance is democratic centralism. This idea came from Russia’s Vladimir Lenin. It means that all proposals, policies and laws can and should be discussed and debated, in order to make the best decision, for the needs of the people. However, once the final decision is made, everybody – citizens and leaders alike, must wholeheartedly support the plan, for the common good, and sublimate individual and group desires to go against the collective grain. This faith in the commonwealth must continue, until at which time the law or policy is changed. While individualistic Westerners may find this concept superficially alien, it is in fact, part and parcel of capitalism too. Government officials are expected to tow the policy line, regardless of their personal inclinations. Employees and managers of businesses are expected to do so as well. Vocal, rebellious workers tend to get the axe. Any grievances should be shared with their superiors in private, or at the appropriate meeting time. Loyalty is demanded until the rule, policy or strategy changes in the process. Isn’t capitalism’s teamwork just another word for democratic centralism, after all? Another successful brainwashing of Westerners, at the hands of mainstream media and government propaganda, is the myth that China is governed by tyrannical, one-man rule. This was and is utter nonsense. Even during Mao Zedong’s heyday, he was constantly having to negotiate, accommodate and compromise on his vision. The CPC has a long and illustrious history of fierce debating, frank criticism and finally compromise, under the mantle of democratic centralism. The only difference is it is almost always done in meetings, away from public view. Is this really any different than the West? Not really. Outside all the buffoonery and grandstanding that takes place in the public eye, and which the Chinese find beneath the dignity and solemn duty of governance, let’s face it: the vast majority of decisions that affect the lives and livelihood of the citizenry are done behind closed doors. The other very successful brainwashing of Westerners, is that China’s National People’s Congress (NPC, the legislature) and the China People’s Political Consultative Conference (CPPCC, all the major lobbies) are nothing but hollow shills, mindless Myrmidons and toothless, powerless rubber stampers. Orwellian hogwash! Again, the debating, arm wrestling, jockeying and waxing and waning of supporters for a given law or proposal is fast and ferocious. But it is done in halls and meeting rooms, away from the cynical public eye. Thus, when the NPC and CPPCC meet every year, in March (it just concluded this week), there has been a year of nonstop, hard-nosed debating, arguing and decision making that took place. The real voting, and they do vote, is done during all the negotiating and debating, before these bodies convene publicly. What we see on the television is democratic centralism in action: putting into effect laws and policies that have been honed, perfected and voted on, long before the signatures and public ritual in front of the cameras. The final and third leg of Baba Beijing’s governing stool is the democratic dictatorship of the people, or people’s democratic dictatorship. While it admittedly has a jarring ring to Western ears, it makes perfect sense when properly explained. The concept has its roots in 19th century communism and was early on adopted by Vladimir Lenin, as people’s democracy, in the USSR and later in Eastern Europe. What it means is that the citizens confer their trust in the country’s leaders to govern effectively, for the livelihoods, safety and betterment of the people, and if threatened from outside forces or internal sabotage, then the leaders promise to protect the country’s borders and way of life. This is not a new fashioned, modern political theory. The Chinese were way ahead of Karl Marx, Friedrich Engels and Vladimir Lenin, like about 2,300 years, to be exact. The democratic dictatorship of the people is essentially the political philosophy of Confucius. That’s right, the people’s democratic dictatorship is Confucism, writ large. Add to it the even older concept of the Heavenly Mandate, and you have China’s system of governance, going back thousands of years. The Heavenly Mandate simply states that if the country’s leaders do not maintain the democratic dictatorship, then the people have the right to replace this failing government with a new one. This is Confucism, hook, line and sinker. All three of these platforms of governance, controlling the means of production, democratic centralism and the democratic dictatorship of the people, are enshrined in China’s national constitution. Since 1949, it has been and continues to work more than just fine, thank you, Western capitalists. As a result of this three-legged stool, Baba Beijing is able to effectively guide the country, its economy and development. As the map at the start of this article demonstrates, it is working wonders for China’s diplomacy and international cooperation, long term, as well as for its partners overseas. Capitalism could never pull off the Belts and Roads Initiative, because of too many selfish, individual, competing, short-term profit interests. This is a truism that the 79% need to come to grips with. They need to think long and hard about the socioeconomic dilemma of their static or degrading standards of living. New China adopted the Soviet Union’s Five-Year Plan, again, a Leninist concept. Since 1984, China has actually made their goal setting into a rolling ten-year plan, looking at the current five-year plan, as statistics and results come in, thus, tweaking it each March, then penciling in projections for the following five years thereafter. How much is my government doing to improve our country’s infrastructure and economic development for the common folk? I know the answer in the United States, almost none. American infrastructure is falling apart at the seams, entropy, the Second Law of Thermodynamics in fast motion. 3,000km of urban rail lines will be built and made operational. Think trams and trolley cars. The goal is to reduce the time city folk spend, going to and from work, bus to subway to bus, etc. Transportation hubs will be improved and streamlined in China’s many metro systems. This is a big complaint among the citizenry (including my wife! ), the long transfers between subway stations. The nation’s high speed train (HST) network will be expanded to 30,000km. Currently, it is 19,000km and by several magnitudes, is the world’s largest system (Spain’s is the next biggest, at 3,000km). Baba Beijing is going to expand China’s HST network another 58% in the next five years and in the process, serve 80% of the country’s bigger cities. 30,000km of expressways will be added to the existing network of 123,000km. These are highways like the US Interstate system and autobahns in Europe. This shouldn’t be a problem, since China added 11,050km of expressway in 2015 alone. A stated goal is so people can get out of the cities and travel in their region, on the weekends. How thoughtful. Hey, it’s a quality of life issue. China is going to integrate its road systems in what it calls megalopolises, massive urban conglomerations around cities like Beijing, Shanghai and Guangzhou. The reasoning? So that citizens living on the outskirts of these supercities can commute to work in under 1-2 hours. Another quality of life concern. 50 civilian airports will be built in third tier cities, so that less populated areas can travel around the country, like their big metropolis brethren. The new Beijing Airport, on the southern edge of town, will be finished, to take badly needed pressure off the current Beijing Capital Airport, on its northeast fringe. Seven other big city airports will get a major expansion and facelift. Roads with shuttle bus systems will be built and installed, to connect China’s one million villages. How? By building 152,000km of paved roads to connect them, more than all the current expressways put together. It shouldn’t be difficult to go visit grandpa, grannie and take care of business in one’s neighboring bigger town. Another quality of life issue for hundreds of millions of farming families. Another big complaint among the rural citizenry is that too many villages do not have post offices and courier services, so country folk have to travel to a nearby bigger town, in order to send and receive mail. That is going to change during this 2016-2020 Five-Year Plan. Hey, how come those evil, commie reds in China can create so much prosperity and a better life for their people? What the hell is going on here? I’d like to know more about the Chinese Dream! Thanks for comment, Ron. China is communist. That’s why it’s working. The West is in total denial of the truth. Capitalism could never pull off the Belts and Roads Initiative, inside and outside the country, because of too many selfish, individual, competing, short-term profit interests, and all the corruption and greed that go with it.